440 / Gas before it went up. I didnt think I was going to have enough gas to make it to work... & when I did, I usually just wait to get gas at lunch but for some reason, I stopped on my way into work. & boy, was I ever glad I did. It was $2.04 when I filled up & when I went out to lunch, it was $2.49. Whew! I would have been so mad if I had to pay that. 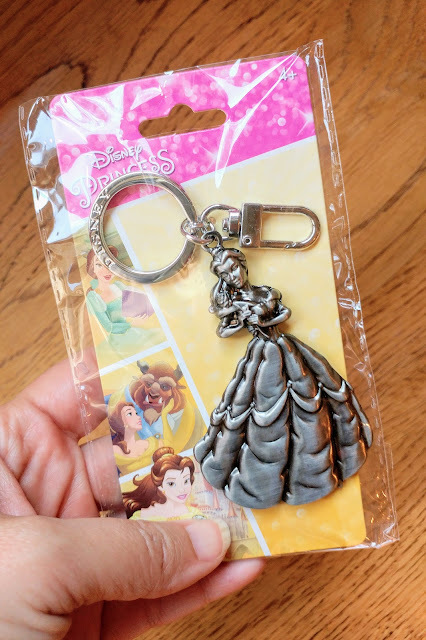 Made my day when the hubs came home from work last week & was like, 'I have a goodie for you" (our friend Steph always was big on 'Goodies' for everyone in her life so we still use the word)... & then he pulled out this beautiful key chain. I love it!! I tried carrying it on my keys but its SO HEAVY. It weighs in my purse & on my keys in the ignition so I may not carry it so trying to find a good place to use it though. I went out for lunch & was going one place but ended up pulling into a bookstore. Sometimes the pulls of books takes over me. 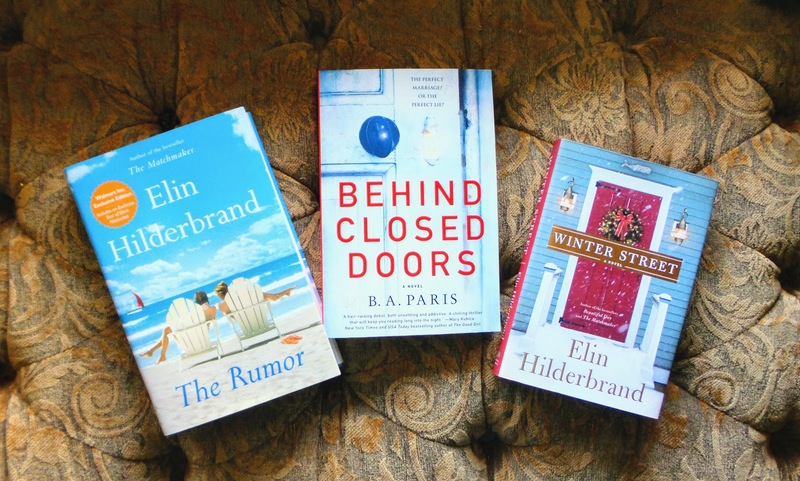 I'm so glad I did because I found some good clearance books - all 3 of these cost me $14.98 TOTAL... & funny thing, that book Behind Closed Doors is on sale at Target for $13.95 - almost what the total of 3 books cost me. If you have to work during the holidays when everyone else is off, at least I can appreciate & enjoy a quiet office. 445 / Sweet texts of thanks. I had sent out cards to all my girls that went to camp (talk about writers cramp) & I got the sweetest messages throughout the week from all the girls showing pictures that they got my card or kind words of thanks. These young ladies are just so special. I am so glad we were able to do the photo session this past weekend, even in the heat & even cut short, because my poor cousin & I have had to schedule & reschedule so many times, I've lost count. I was glad we finally pulled it out. 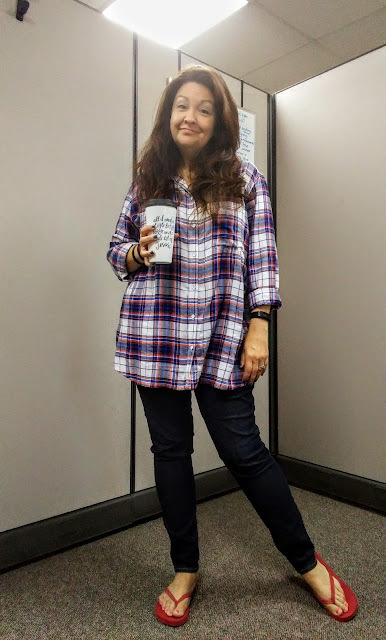 We do casual Fridays at work but when you work on a day where everyone else is off & you're off the next day, I ended up wearing jeans to work on Monday... & so glad I did. It has become our yearly tradition to celebrate the 4th at my parents with his neighbors throwing the best fireworks show at the end of the night. This is becoming a great tradition. 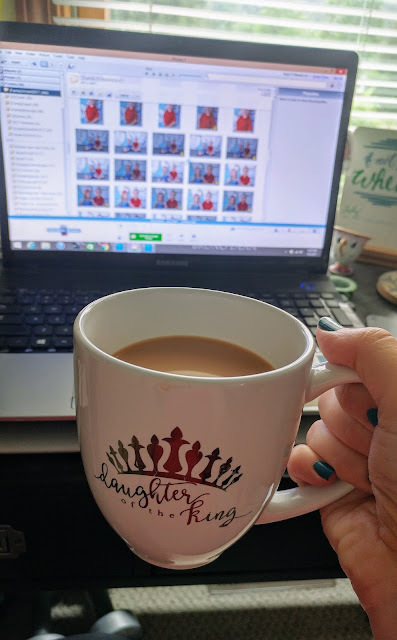 I was thankful for a day off work so I could work my OTHER job #likeaboss ... it gave me time to edit my photo session up in one shot & get those pics out of the way. That's always pressure off of me. I got in a very much needed day to myself on Tuesday. Ordered Chinese food, got my hook out and binge watched season 4 of the Originals. I was feeling down so I needed to just veg out. Felt much better Wednesday and today -- so far so good! Even a bad day is full of good things! 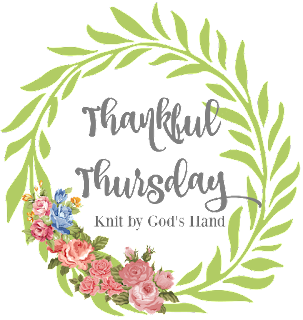 Check out my thankful post today!! I always love reading about your thankfulness!! Love those jeans and that shirt. Very cute!! Wish they'd let us do jeans on Fridays. Love your outfit. I love the pictures this week of your dad with his horse. So cool! Loved the pics of your dad and his horse on instagram!! Yes, I remembered your dad always painted the horse for July 4th. Does this horse have a name? What a nice goodie you got! That key chain does look heavy. Do you have any ceiling fans in your House? Perhaps you could use it as a fan pull? Our office was dead on the 3rd. I forgot to wear jeans, but took a long lunch & went home early instead. Haha. I ran for 15 minutes today, 3 sets of 5 minutes each with some walking in between. It was slow, but it was the first time I've run more than a few steps since I fell off my bike. And it was PAIN FREE! Gas in Shelbyville is 1.99! I'm sure by the time I need to fill up, it'll be expensive again. Love the painted horse! You're glad you filled up before gas went up to $2.49. We're glad gas came down to $2.49...the lowest it's been in months! PA has outrageous taxes on gas. I love that family photo - that little boy is so cute! Looks like a Norman Rockwell pose :) And I love your dad's patriotic horse. Very cool! Now that I'm even more immobile (figured out I just CANNOT come up the stairs into my house without a lot of pain), I'm thankful that I work from home. And that I have a house-husband to take care of me! I love your family's 4th of July celebration!! So festive! You are SO dang cute! Your work casual is so stylish and you are just adorable! I love your casual "Friday" look. We wear jeans before a day off too. Love that. And on Fridays too. I can't believe gas went up that much in a few hours. Crazy.